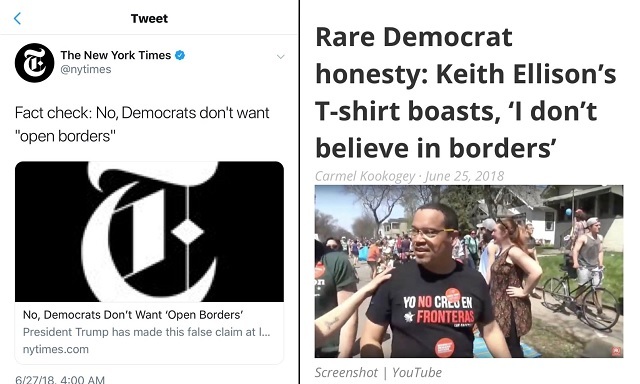 NYT "Fact Check": "No, Democrats Don't Want 'Open Borders'"
The New York Times "fact-checked" President Trump's statement that Democrats "want open borders" and proclaimed it "false." President Trump has falsely claimed at least two dozen times since taking office that Democrats want to open American borders. But legislation shows that Democrats support border security measures, though not the border wall he wants to build. Can’t imagine why trust in the media is at historic lows. Opinion masquerading as a fact check. Fail.